This quilt is really fun and easy to make! Nine-patches are set in a square-in-a-square block, surrounded by sashing. Then add courthouse steps blocks and a fun pieced border. 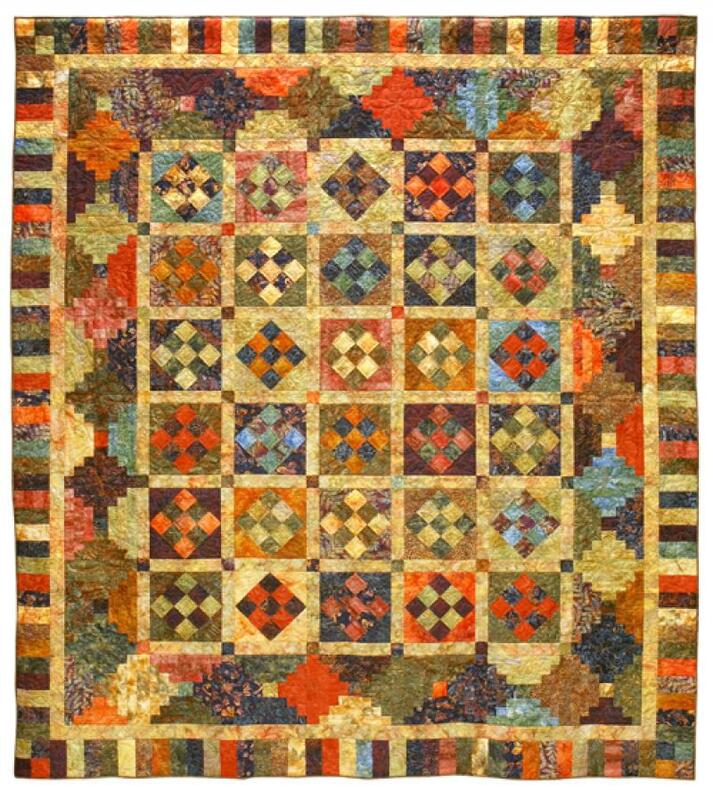 This quilt uses a variety of colors and a fairly broad range of values. There is really no background, so the prints you use need to show up against each other. You will need 5/8 yard each of 16 or 22 assorted prints selected from 3 or 4 color families, depending on which size you make. You'll also need 2-3/8 or 2-5/8 yards of one sashing print that will show up against your other fabrics.You may want to wait to select this until you make some of your blocksóyou'll be surprised by what looks the best! Optional instructions are also included for cutting from your stash.